This digital keyboard is elegant and refined, combined perfectly with handle and timbre of traditional keyboard and latest electronic technology of the present age. Designed for beginners and hobbyists, whether you are a newbie or an experienced player, these easy-to-use professional features and performance along with its colors. Enjoy your tune! It adopts dream source, with digitalization sampling, which provide vivid as acoustical experience for your performance. Including all sorts of accompaniments, ranging from rock-and-roll to pop music and jazz, which enable you experience various feelings. You can connect it to the computer or other MIDI devices for interaction and creation quickly and conveniently. 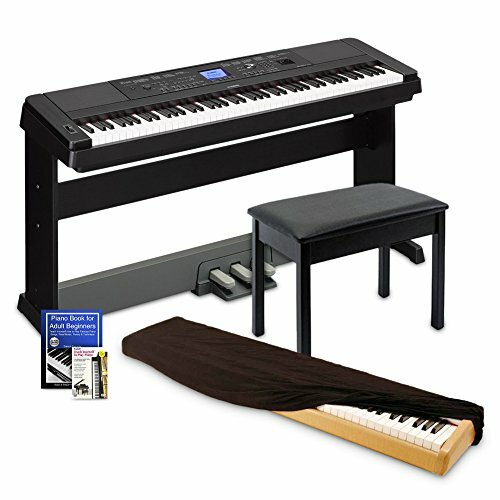 ♫10 Grade Weight Action Keys-LAGRIMA digital piano features 88 fully progressive weighted hammer action keys,so it is heavier in the low end and lighter in the high end(A total of 10 grades),which can give you the feel of an acoustic piano and provide a wonderful playing experience! 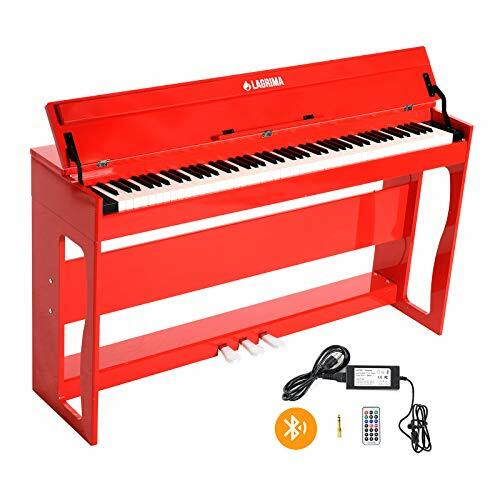 ♫Bluetooth Remote Control-Smart design with bluetooth function,so you can connect bluetooth first by iphone,ipad or other devices,then you can operate this piano very convenience just by remote control or your devices even though you are far from this piano! 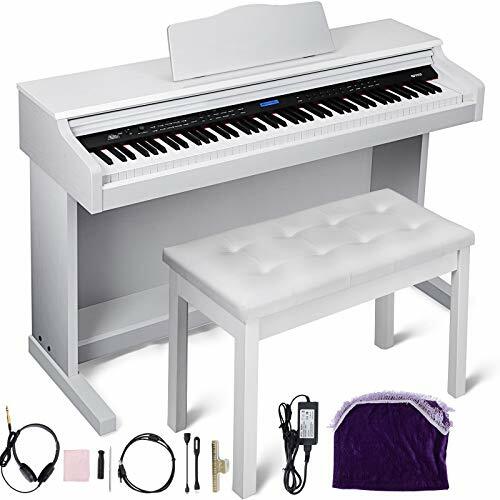 ♫Well Connected-This upright piano features USB/MIDI/MIC TERMINAL,so you can connect and interact with a wide variety of educational,music entertainment or other applications on a computer or Apple and Android devices,it also can connect microphone. ♫Quiet Mode-This weighted piano with two headphone jacks,you will find it at the bottom of the piano(headphone is not included,but most headphones are available),so you don’t worry will disturb others’ relax when you are playing.